On December 20, 1910, a man named Jimmie hiked down to the caldera floor of Kīlauea to singe a postcard in lava before sending it to his sweetheart in New Jersey. The front of the postcard features a black-and-white photograph of an eruption with the title “Lava Cascade and the Devil’s Picture Frame: Crater of Kilauea, Hawaii.” “Dear May,” Jimmie wrote, “Here I am up here again. Had to take another trip over here and it looks as though I will have to spend my Xmas somewhere over here. Tough luck but it can’t be helped. Have been away for a week now. Will write when I get home. All the love to you with‘Aloha,’ Your Jimmie.” It might seem unimaginable today, but in the early 1900s it was common for visitors to the volcano to hike to a feature still known as the Postal Rift, where they held postcards over glowing lava to scorch them as souvenirs. More than a hundred years later, these cards remain coveted collector’s items. At the time of Jimmie’s visit, Kīlauea had entered a new period of volcanic activity and was attracting a small but steady stream of visitors. Also perhaps unimaginable today—in the age of instantaneous and inexpensive communication—is how popular and important postcards were at the turn of the twentieth century. Today Jimmie’s postcard is part of the Curt Teich Postcard Archives at Chicago’s Newberry Library. 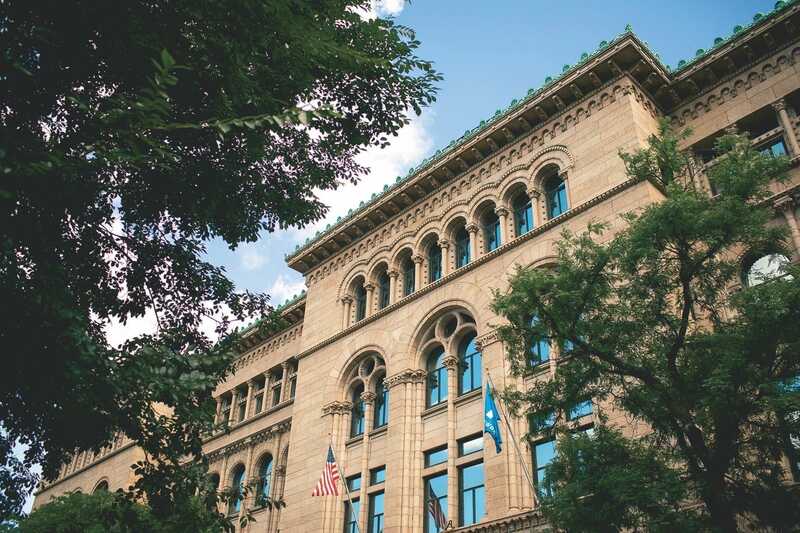 A private research institution, the library is home to the largest public collection of postcards in the nation. Among its approximately 2.5 million items are 1,582 postcards of Hawai‘i printed by Curt Teich & Company, which saved a copy of every postcard it produced. 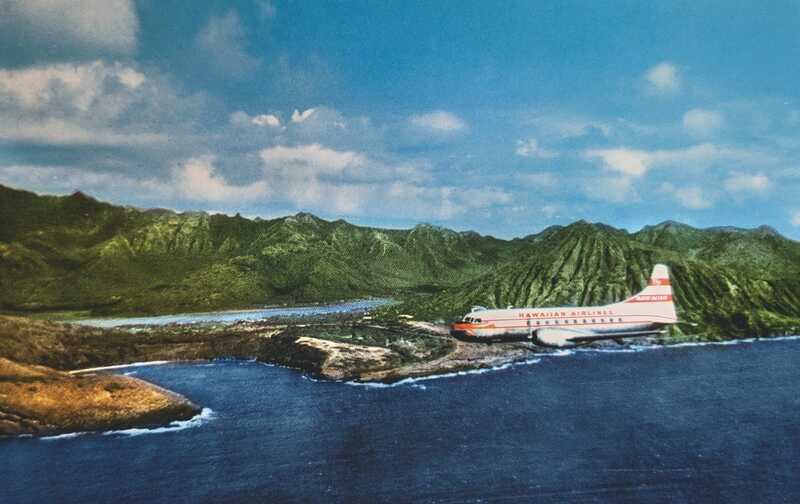 From the late nineteenth century through the 1970s, Curt Teich & Company of Chicago produced hundreds of thousands of souvenir postcards, including some 1,582 postcards of Hawai‘i. The souvenir picture postcard appeared in 1893 as an inexpensive way to send short messages. They made a big splash at Chicago’s 1893 World’s Columbian Exposition; those who attended were among the first to mail postcards to friends and family. The fair attracted visitors from all over the world, and among them was Christian Teich, owner of a printing business in Germany, where most souvenir postcards were produced at the time. Shortly after Teich returned home, Curt Teich, his 21-year-old son, emigrated to America. By 1898 the younger Teich owned his own printing business in Chicago. Initially Curt Teich printed just about anything, but he quickly realized that photo postcards were more than a fad. 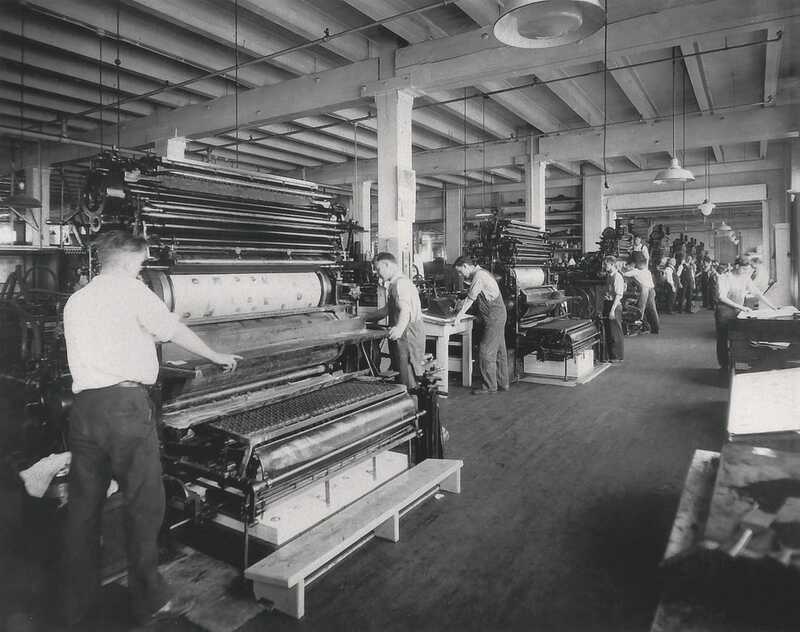 He applied his knowledge of then-sophisticated German printing technology and developed a cost-effective mass-printing process. In 1907 German printers still dominated the American postcard business. Teich, however, was able to compete because he offered a quality product with the advantage of personalized customer service and faster turnaround. In 1909 Teich caught a break from federal tariffs on the sale of foreign postcards, which caused sales of these cards to plummet, and was soon printing a minimum of 150 million postcards a year. He already had a few clients in the Territory of Hawai‘i, including the Island Curio Store in Honolulu and the E.H. Moses Stationery Store in Hilo. The rise in popularity of postcards coincided with a tumultuous period in Hawai‘i’s history. Just a few months before postcards first appeared in May 1893, the Hawaiian monarchy was overthrown. In 1898 the United States annexed the Republic of Hawai‘i, which was renamed the Territory of Hawai‘i. At the same time, postage for souvenir postcards was halved, from 2 to 1 cent, and sales boomed. A portrait of Curt Teich. As a nascent tourist destination, Hawai‘i was a natural market for postcards. Newspaper publisher Lorrin A. Thurston had long advocated for more tourism to the Islands even before he helped engineer the coup that toppled Queen Lili‘uokalani. In 1892 Thurston had helped establish the Hawaiian Kingdom’s Bureau of Information; in 1903 he again sought to promote tourism by creating the Hawaiian Promotion Committee—the predecessor of today’s Hawai‘i Visitor and Convention Bureau—and he used postcards to market the Islands, creating the imaginal, romanticized Polynesia seen in early twentieth-century Hawai‘i imagery. Above, a postcard from 1910 singed by lava; in the early twentieth century, it was common for visitors to Kīlauea volcano to burn their postcards at the Postal Rift. Between 1907 and 1930 Teich developed several innovations that enabled the company to print better, yet still inexpensive, souvenir postcards. He combined a black-and-white photograph with lithography to produce a color image. Next, Teich added a white border. While these cards were cheaper to produce (they used less ink and were easier to cut), they looked more expensive. Soon afterward Teich started printing the name C.T. American Art on his postcards, and many of these cards were indeed kept as miniature works of art, meant to be displayed. In 1931 Teich unveiled yet another innovation, the C.T. Art-Colortone process, which used four colors (cyan, magenta, yellow and a dark blue) plus black, enabling Teich to replicate the bright watercolor hues popularized by fine-art printers. In addition, he used a card stock with tiny ridges and valleys that helped the ink to dry more quickly. The company’s large staff of illustrators would then remove imperfections and add artistic touches such as clouds and American flags. They produced a style of postcard that’s iconic and instantly recognizable even today. “Curt Teich was extremely influential for creating the archetypal postcard in the American consciousness,” says Brown. Teich’s postcards were instrumental in the early marketing of Hawai‘i as a tourist destination. Here, a card featuring a rendering of the Waikīkī Natatorium War Memorial. Three local companies ordered linen postcards: the Honolulu Paper Company (today’s Hopaco), the Patten Company and the Camera Craft Shop in Hilo. During its heyday the Teich company employed an army of salespeople, and though Hawai‘i provided a significant amount of business, there’s no record of any Hawai‘i-based sales staff. In a recent interview Elizabeth Teich, Curt Teich Sr.’s daughter-in-law and the widow of Curt’s son Ralph Teich, the man largely responsible for preserving the company’s corporate history, explained why: The Teichs did the marketing them-selves. Since the early territorial days, the Teich family had enjoyed visiting Hawai‘i, and they used the trips to sign deals. Later, Curt Teich Jr. and his wife purchased a home near Diamond Head. After Pan American Airways started air service to Hawai‘i, Curt Teich flew over to sign up orders for his linen cards. Among them were views of the Elks Club head-quarters in Honolulu and a vivid image titled “Lava Fountains, Hawaii National Park,” which even today demonstrates the narrative power of linen cards. Of the volcano image, cultural historian Jeffrey Meikle points out in his 2015 book, Postcard America: Curt Teich and the Imaging of a Nation, that no other postcard has “so much of its surface area covered by only red and black. … The colorist relied on a garishly hand-painted source photo … and a command, scrawled on the job file: ‘Be sure to use the brightest red!’” K. Maehara, the photographer/owner of the Camera Craft Shop, initially rejected the card. The “fountains of fire” were “too lumpy,” he said, and needed to be “a little brighter.” “The result is a hellish image portraying, almost realistically, an awe-inspiring, surreal natural event neither they nor most of the people who received the card in the mail had ever actually experienced,” Meikle writes. One of Teich’s innovations was to add a white border to his postcards. The cards required less ink, were easier to cut and looked more expensive. Produced from 1930 to 1950, Teich’s linen cards featured a full range of color. In addition to vivid views of Kīlauea and Waikīkī, there were city scenes of Honolulu and Hilo, including their modern hotels and resorts. Scenes of Native Hawaiian culture, including hula, surfing and traditional fishing were popular, as were views of agricultural production, especially pineapple fields. While not actual color photographs, the Teich linen process produced a reasonable, if idealized, facsimile of reality. During World War II, when the tourism industry was on hold, the territory was inundated with military personnel, most in Hawai‘i for the first time. Even those just passing through took the opportunity to send one of Teich’s Hawai‘i postcards to folks back home. During this period the Teich company became well known for its large-letter postcards. These cards usually started out with “Greetings From,” and each letter on these postcards displayed a different landmark or scene associated with the state or city. It was an approach soon copied by competitors. One of the best-known versions of this type of postcard is one that inspired the cover of Bruce Springsteen’s 1973 debut album, Greetings from Asbury Park, N.J.
By 1950 full-color postcards became readily available, and the glory days of linen postcards were over. After the war color postcards (often called chrome postcards) grew more popular, as people preferred glossy color photographs. Proud of their distinctive linen postcards, Teich was slow to print chromes. The appearance of Kodachrome film also caused the overall sales of postcards to decline. Equipped with their own 35 mm cameras, many visitors to Hawai‘i shot their own color photographs. No longer were they purchasing postcards as souvenirs to include in their photo albums. While vivid scenes of destinations like Kīlauea and Waikīkī were in demand, images portraying Native Hawaiian culture, including hula, surfing and traditional fishing were also very popular. During the chrome era, Teich continued to produce a wide variety of Hawai‘i postcards. Hawaiian Airlines used Teich’s chrome postcards to promote its fleet of modern jetliners. Teich also printed distinctive products, such as a full-color souvenir booklet about Hawaiian flowers. The company also printed postcards and brochures for attractions such as the Queen’s Surf Luau featuring Elaine Frisbie’s Puka Puka Otea dance troupe and singer Kui Lee. In 1974, after decades of declining sales, the Teich family sold the company. Post-cards using the Teich name continued to be produced until 1978. In 1980 the John Hinde Company, an Irish-based printing firm, purchased the company’s remaining assets.